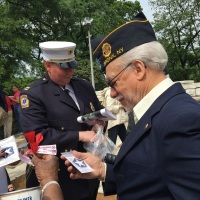 New York Rescue Response Team (NYRRT) Provides & Installs FREE Smoke & Carbon Monoxide Detectors to Senior Veterans in Brooklyn South Neighborhoods. NYRRT Administers a Patriotic " STARS FOR TROOPS " Program for Veterans, Active Duty Military, Reservists, Uniformed Services & Patriotic Americans. We distributed over 3000 "STARS" at last Year's "AMERICA'S PARADE" & Have Distributed almost 20,000 Stars to date. NYRRT Operates a FREE Military Transportation Van During Fleet Week NYC , Providing Rides to Ships, Hotels, Airports, Ferries, Points of Interest & Transportation Hubs. We have provided this Service for the Last 4 Years. 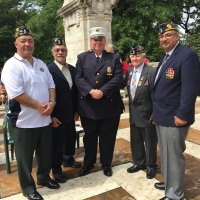 New York Rescue Response Team Attends Parades, Wreath Laying Ceremonies, Funerals, Military Balls, Ships' Commissionings, Rememberances, Dedications & Commemorations. 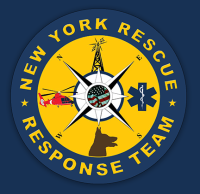 New York Rescue Response Team (NYRRT) is a 501c3 Not-For-Profit Rescue Squad, Based in Brooklyn & Traveling the Tri-State Area for Search & Rescue; We Specialize in the Special Needs & At-Risk Communities.